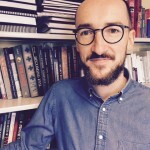 Anthony Amicelle is Assistant Professor in Criminology at the Université de Montréal. His research examines practices of policing, surveillance and intelligence at the interface of finance and security, especially with respect to counter-terrorism and anti-money laundering. His recent and forthcoming publications include ‘Suspicion-in-the-Making: Surveillance and Denunciation in Financial Policing’ (The British Journal of Criminology, 2017); ‘Policing through Misunderstanding: Insights from the Configuration of Financial Policing’ (Crime, Law and Social Change, Forthcoming); ‘In Search of Transnational Financial Intelligence’ (The Palgrave Handbook of Criminal and Terrorism Financing Law, Forthcoming).